To facilitate the removal of the skin on the poblano chiles, hold them over a burner flamer until the skin bubbles and blackens. Immediately put the chiles in plastic bags and wait about 20-30 minutes. Remove the chiles from the bags and immerse them in warm water. You should be able to remove the skin by scraping the chiles underwater with a small knife. Then remove the stems, seeds and veins, and slice the chiles into small strips. Set aside. In a heavy-bottomed pot, heat the oil over medium -high heat. 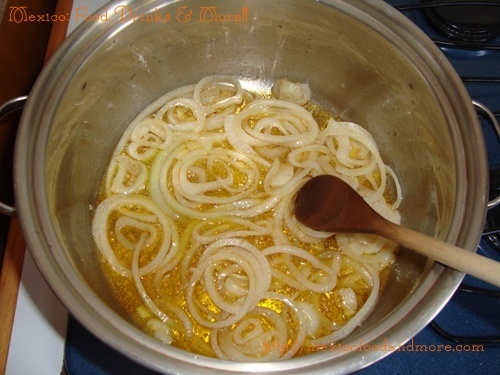 Add the onion, garlic, crushed buillon cube and salt to taste. Cook until the onion is tender, stirring occasionally. 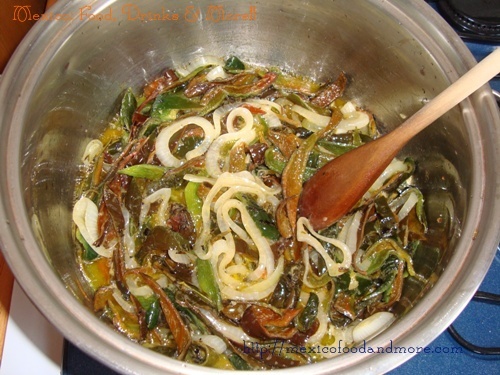 Add the butter and poblano strips (rajas). Continue to cook until the chiles are tender. Reduce the heat to medium-low. 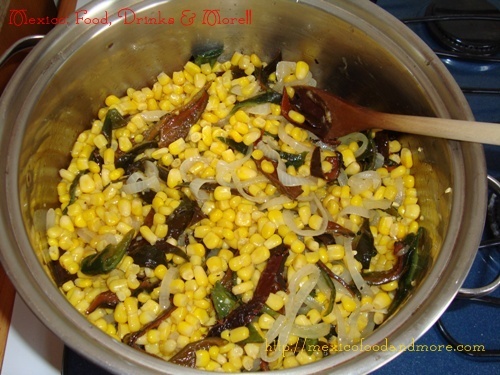 Add the corn and salt to taste, and cook another 5-10 minutes. The corn is ready to serve. 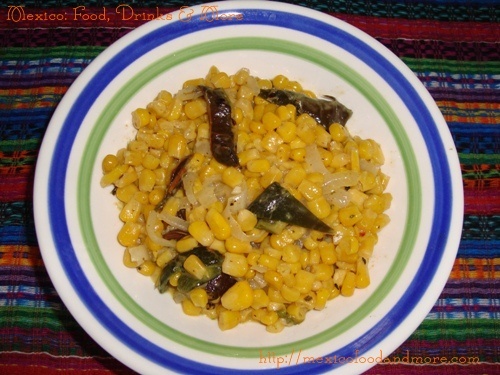 However, adding the cotija cheese and cooking the corn until the cheese melts adds a nice flavor and creaminess to the finished dish. Serve as a side dish to carne asada or chicken milanesa. This entry is filed under Side Dishes. You can follow any responses to this entry through the RSS 2.0 feed. You can leave a response, or trackback from your own site.